Quinns: Morning, everbody! Are you well? 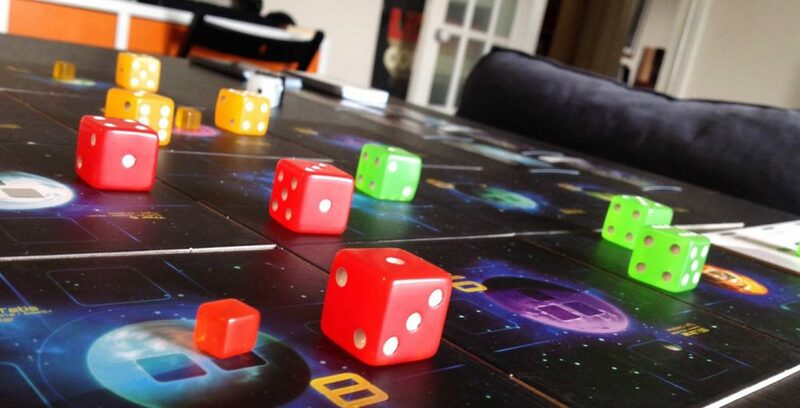 You will be after reading this week’s instalment of the news, featuring no less than SIX games, every one of which sets my table-gaming soul quivering like a jelly. As always, our news is hand-stolen mostly from the excellent BGG News blog, as well as Meople’s Magazine. A fine internet periodical. Let’s kick off with the story that Quantum (above) will be arriving in shops very, very soon. What we have here is an elegant-sounding sci-fi game where every die is one player’s ship, and the number of pips it shows is its speed, power and building ability. Very slick! And Fun Forge have draped the thing in lip-smacking artwork. 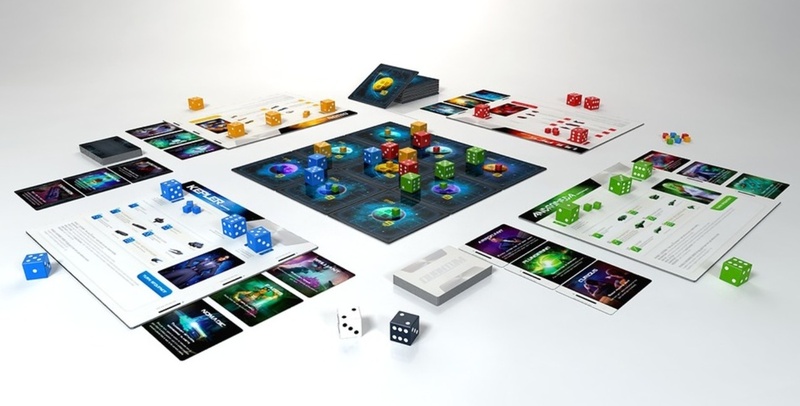 In the interest of full disclosure, I should point out that Quantum is designed by Eric Zimmerman, founding faculty member of New York University’s Game Centre and close friend of SU&SD. But if I’m disclosing everything, then I also need to say that I think Eric’s both very clever and entirely awesome, so even through my astounding bias I’m sure Quantum will be wonderful. Expect a very early review. Taking us back to more familiar territory, I caught sight of Mount Everest this week, too. 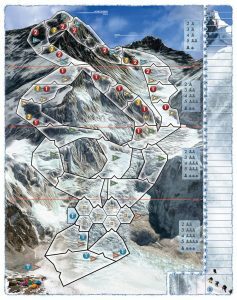 Fans of SU&SD will be aware of our one-sided love of brutal mountain climbing game K2, from Polish designer Adam Kałuża. 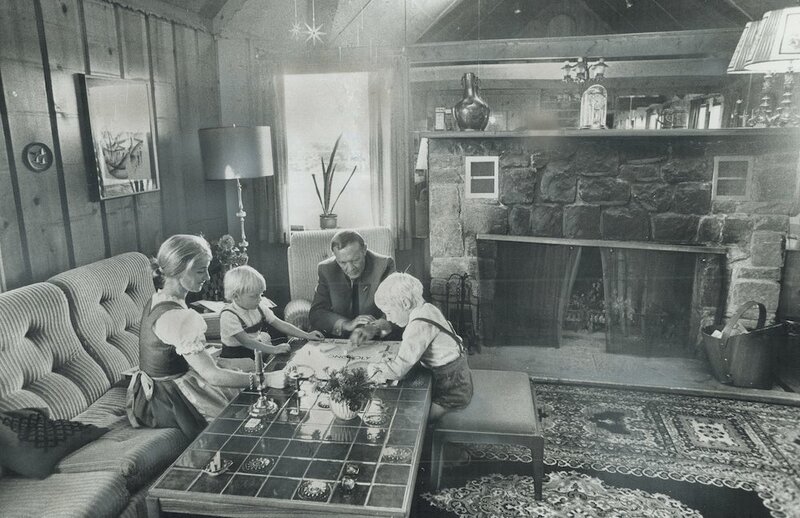 A game that pairs a simple, engaging design with a theme strong enough to make you feel cold. More recently, we looked at his pseudo-sequel to K2, The Cave. I’m smiling as I type this. 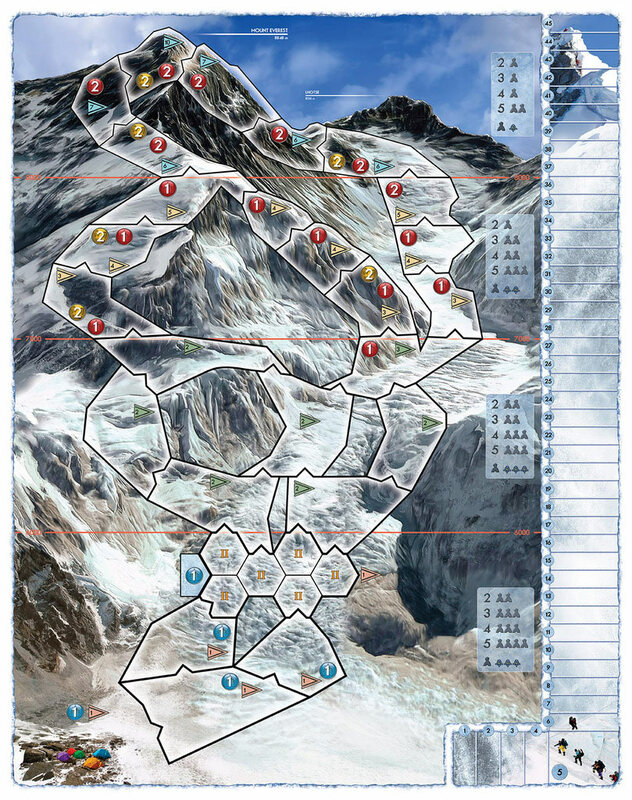 K2 was already a horrific game of pushing your luck. Now, you’ll be doubling up your bets as you decide how many tourists to take up, and what kind. Which will, hopefully, lead to hilarious situations as somebody boldly decides to take on a party of 4 and promptly loses one off a cliff edge. No idea how good Fool’s Gold will be, but it does sound pleasingly tricky. 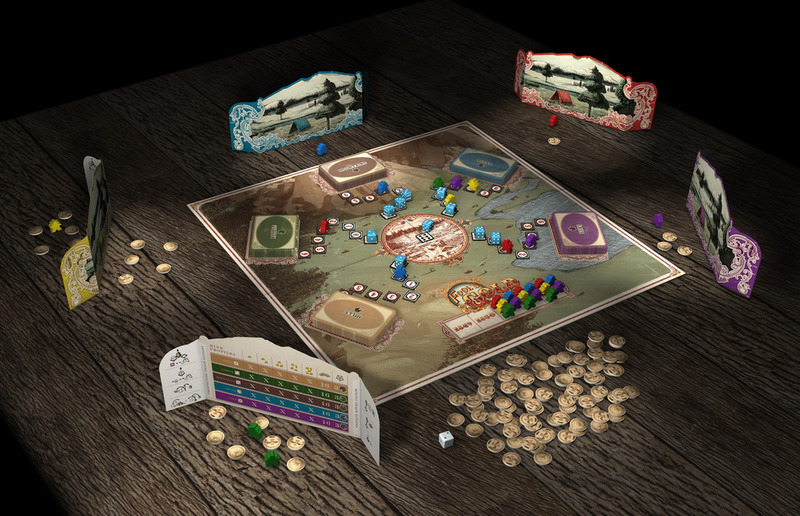 Set during the gold rush of 1849, players are all managing precious prospectors and still more-precious money, sending them all to various locations and then drawing cards from each location’s deck of resources. But it sounds like problems will be much more plentiful than gold. 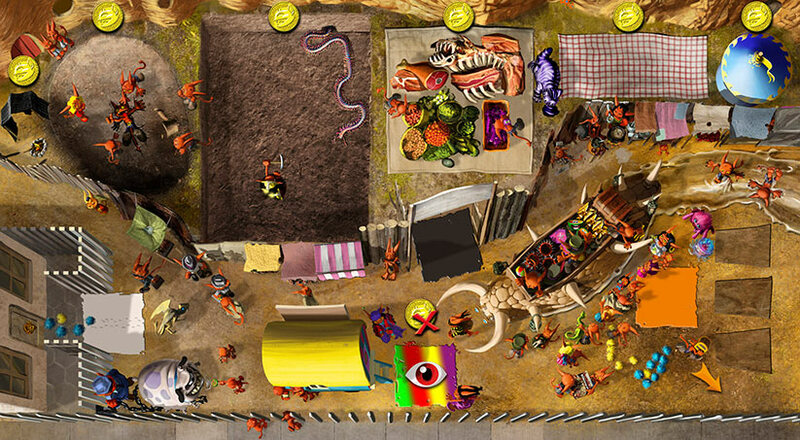 Players will be able to make the path to each location more expensive to journey down, the number and position of prospectors will determine whether you get first or last pick of the goods, and funniest of all, at the end of the game you have to discard all the gold you got from your most profitable location, because it was all fool’s gold. Silly miners! The more I read about it, the more this looks like a lovely way to spend an evening. Tricky decisions, gathering up lots of different prizes, variety, lovely art, the opportunity to screw over your friends? Sign me up. God. I’m being very jovial today. Maybe the next game will look rubbish. 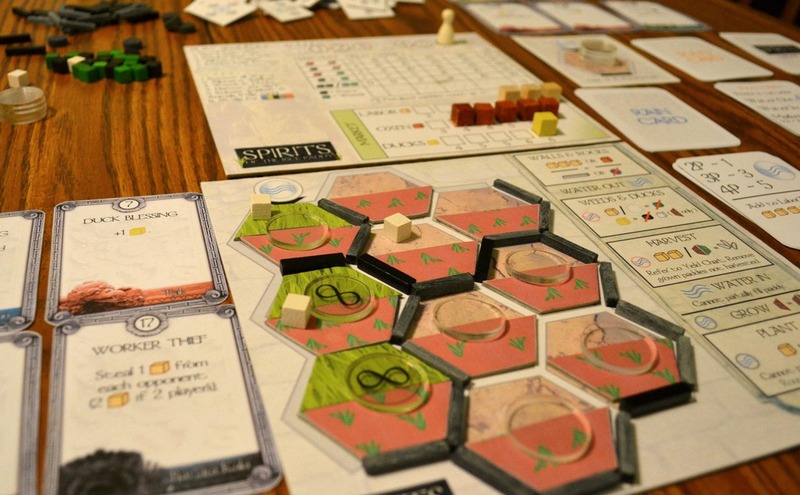 As a 2014 release, Spirits of the Rice Paddy is a little further away, but I hunger for it. I want to drink in its theme like a tall glass of coconut water. As a whole, team SU&SD has very mixed feelings on Agricola – it might still be Paul’s favourite game, I think it’s been eclipsed by similar games since, Brendan finds any game featuring starvation to be traumatic – but one thing we can probably all agree on is that a game of farming in Bali is going to be more interesting than a game of farming here in Europe. Which is exactly what Spirits offers! A game of conserving water, weeding, even managing pests and praying to spirits as you all compete to grow the most rice. Imagine! You, some friends, a few bowls of fluffy rice and grilled chicken as you all compete in a thoughtful game of… of rice. Am I selling anybody on this? FINE fine let’s get back to the fantasy nonsense. We quite like Vlaada Chvatil’s game Dungeon Petz, mostly for how mean it is. Players are all working to rear a selection of baby monsters, which are worth more the bigger they get, though if they get too bad and your facilities are, perhaps, a touch inadequate, it’s going to result in your poop-smeared dragon smashing a hole in his cage, never to be seen again. What you can see above is a teaser image from the forthcoming expansion, Dungeon Petz: Dark Alleys. Enough details have been teased out that I can now probably write about it here without feeling silly. 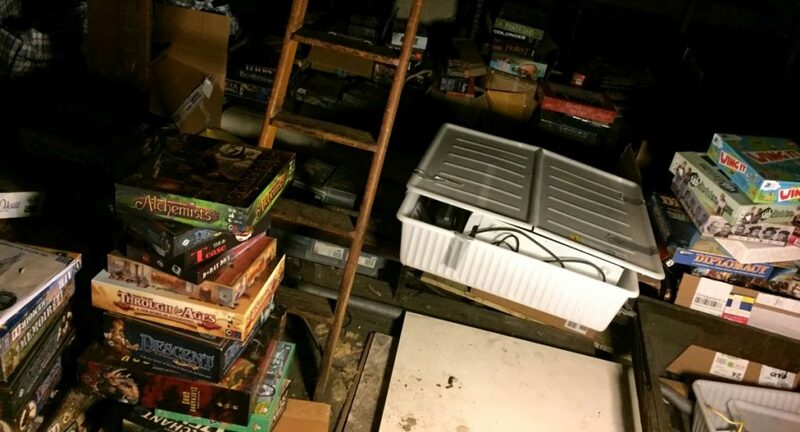 BASICALLY, Vlaada’s expansions are some of the most generous I’ve ever seen in the hobby, and Dark Alleys looks like it’ll be similarly bursting with stuff. It’ll have new pets (including an adorable baby vampire), a black market (seen above, and featuring illegal immigrants), a seller of pet accessories (so you can dress your baby dragon in a collar GOOD LUCK WITH THAT), a fortune teller, new facilties (just look at this), new customers, new cages, new contests… yeah. Which reminds me. We’ve still got the Dungeon Lords expansion. We should really review that. 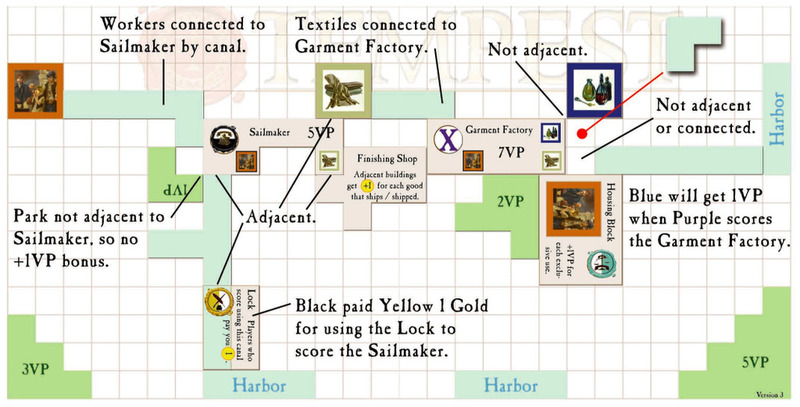 AND FINALLY there is Canalis, a game about canals featuring canals. The game actually looks really cool, but what I’m linking to here is a design diary. And once again, it proves that making a great board game is a process terrifying enough that I doubt I’ll ever go anywhere near it. Just look at the title! “The Canals of Tempest Were Dredged by Rejection“. Jesus Christ!